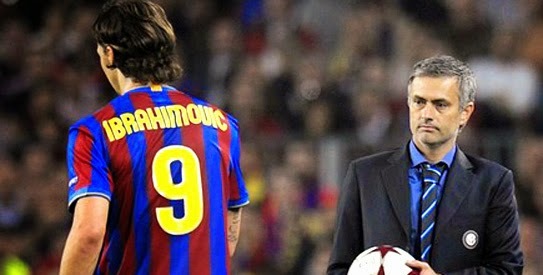 Ibrahimovic on Mourinho: "Most intelligent" manager ever! Zlatan Ibrahimovic has spoken of Jose Mourinho and has admitted that he is the most intelligent manager he has ever worked with. "Yes. In the way he approaches players and – ‘manipulates’ is the wrong word – gets them very pumped up? No doubt. Mourinho is very intelligent. He doesn’t treat everybody the same. He knows how to treat people as individuals and to get 100 per cent out of them." Very rarely you hear people talk negative about the boss. You hear only very few comments from managers (such as Arsene Wenger) or the odd comment from an ex-player but in general, the comments we hear are all very positive. I have said it time and time again, you need to be as good a man manager as you have to be tactically aware and the boss in my eyes (and many others) is the best there is! As for Ibrahimovic and his comment that he states that he knows how to treat people? 57m Euros and Mourinho sold him to Barcelona!